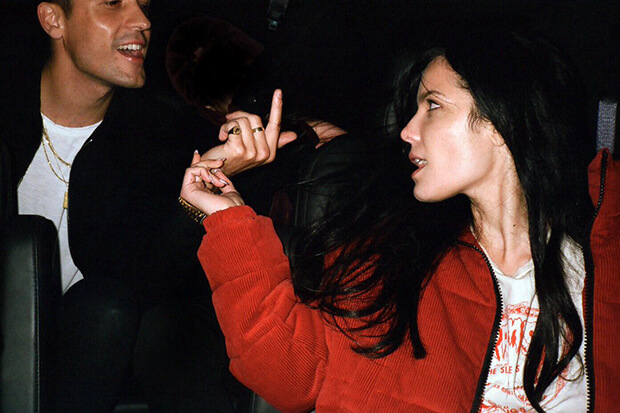 G-Eazy & Halsey Team Up For New Single "Him & I"
There is a lot going on in Halsey's directorial debut and first video of her sophomore era. Real-life couple G-Eazy and Halsey are releasing a collaboration called “Him & I” on Friday (December 1). It is the latest cut from the rapper’s third LP, The Beautiful & Damned (due December 15) and is destined to be big. After all, they are both on a hot streak. He is sitting just outside the top 10 of the Billboard Hot 100 — at number 11, to be exact — with “No Limit,” while she is enjoying her biggest solo hit with “Bad At Love.” The massive pop anthem reaches a new peak of 14 this week.